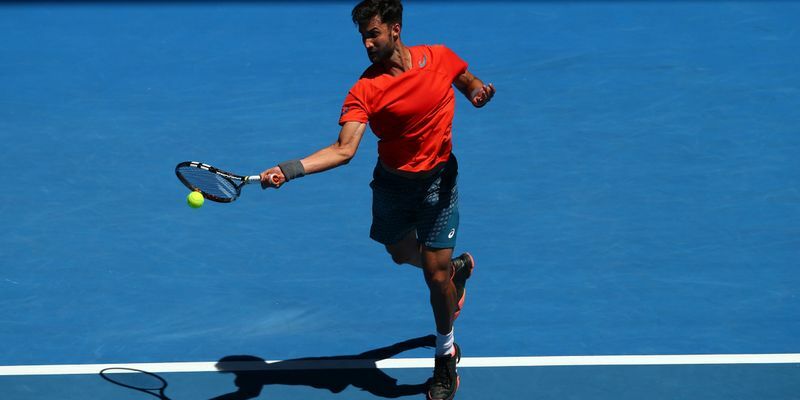 After defeating World No 12 Lucas Puille at the Indian Wells Masters last week, 25-year-old Bhambri went onto beat Olivo 6-4 6-1 in the opening round of the $7,972,535 hard-court event on Tuesday. Starting the game on the front foot, Bhambri had managed to get a break point in the second game itself, but couldn’t convert it as Olivo leveled the score at 1-1. However, the World No. 107 was faced with a break point of his own in the very next game but he managed to save it and stay on serve in the first set. Following that, both players were able to hold their serves as the scoreboard read 5-4 in Bhambri’s favour. That is when the Indian decided to go for the kill and managed to break Olivo's serve, on the second time of asking to seal the first set 6-4. The second set saw the South American’s intensity mellow down as he lost consecutive serves in the fourth and sixth game, helping Bhambri win the second set 6-1 and thereby the match. The Indian will now face Sweden's Elias Ymer next, who is ranked 133 and coached by Robin Soderling, the two-time French Open finalist. Fellow compatriot Ramkumar, however, was eliminated in the first qualifying round by Mmoh in straight sets that saw the 23-year-old put up a strong fight. Both the players looked comfortable on their serves as the scoreboard read 4-3 in Ramanathan's favour on serve. In the next game, that lasted 10 points, the Indian wasted three break point opportunities but eventually did manage to convert the fourth as he took a commanding 5-3 lead in the set. However, serving for the set, Ramanathan put up a meek effort as he was broken right back. The game handed the momentum back to the American who took the set into the tiebreaker where he edged out the Indian by a score of 7-4. Ramanathan was, however, not discouraged by the narrow defeat in the first set and put up a strong fight in the second one, as was witnessed in the fourth game where he saved five break points, in a game that lasted 24 points, to keep the scores level at 2-2. However, Ramanathan failed to capitalize on a break point in the seventh game and conceded one of his own in the 10th to find himself out of another ATP 1000 event in the qualifying rounds.